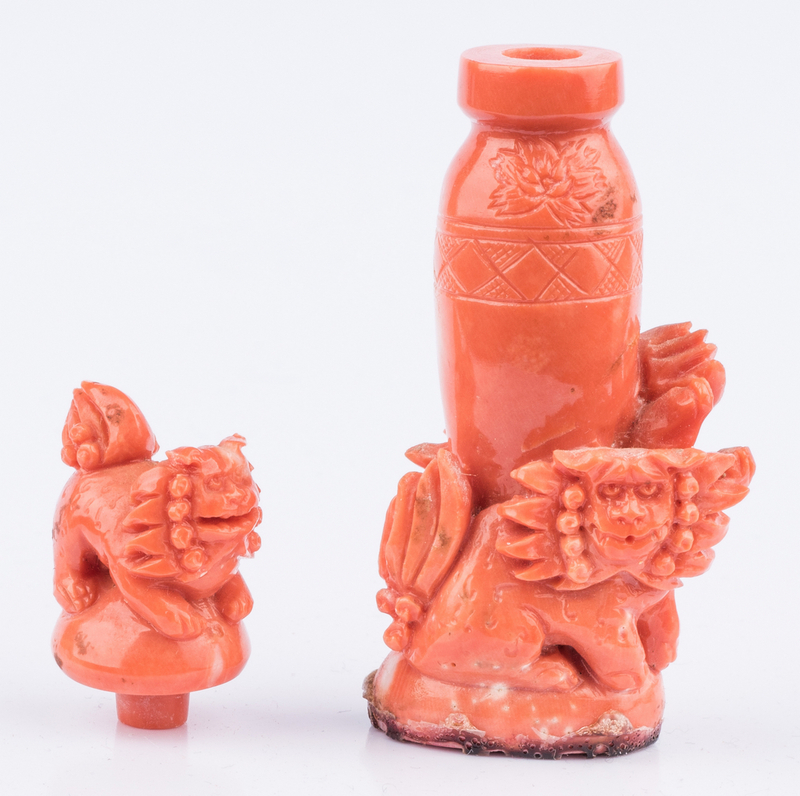 Carved coral snuff bottle in the form of foo lions guarding a temple jar having carved floral and geometric decoration; the lid carved in the form of a third foo lion perched atop it. 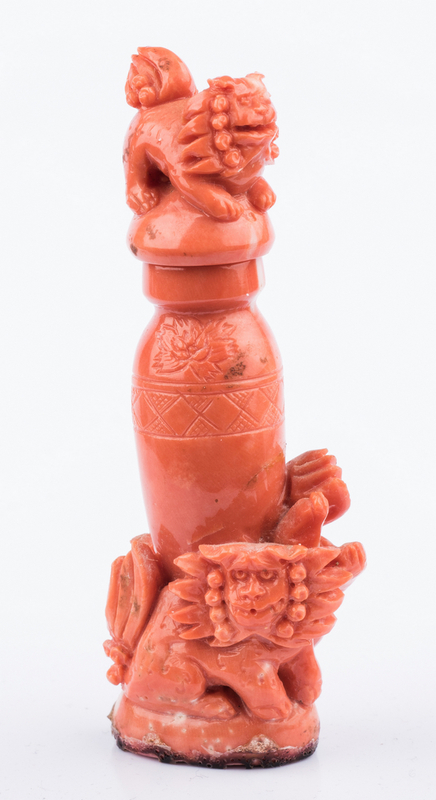 2 3/4″H. Also includes a small hardwood stand, 1 1/2″H. Chinese, late Qing-early Republic Period. Provenance: Nashville, TN estate. CONDITION: Lid lacks spoon. Some adhesive residue to bottom of bottle where it has been adhered to stand.